The JennScents Aromaversity® is structured to provide layers of training throughout the 3 levels of beginner to advanced aromatherapy courses, to lay a solid foundation and deepen roots in the practices of authentic aromatherapy. We have devised our courses to give a well-rounded, comprehensive education in holistic health as a whole, that integrates botanicals and aromatherapy for physical, mental and emotional health. 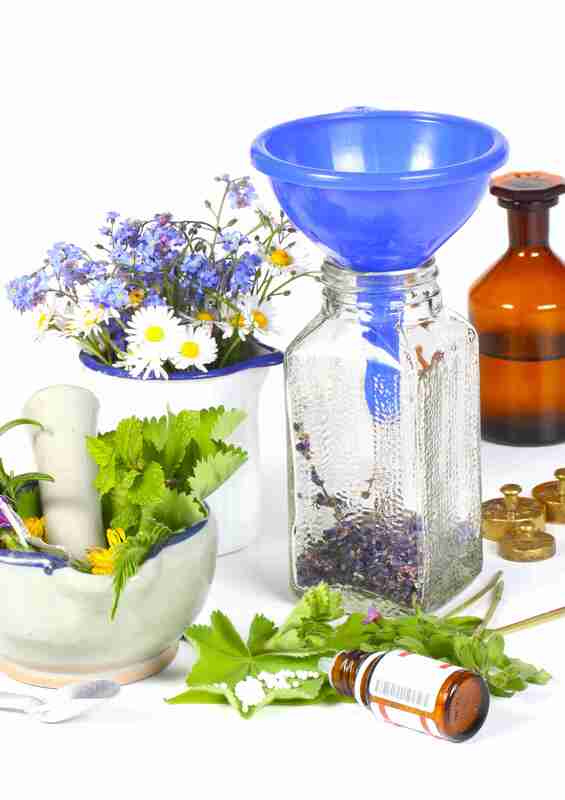 Our diverse, yet relevant and evidenced-based natural health and phyto-aromatherapy courses bridge mind and body health for humans (preconception through death) and animals. We share up-to-date information, bringing you to forefront of the aromatic industry and maintaining your relevance, keeping you current in today’s aroma environment. The goal is to create a journey of understanding aromatherapy historical practices from past to present, in-depth safety guidelines from a practitioners and self-help point of view and carry that through each essential oil and carrier profile, blending techniques, formulation of diverse products for specific health concerns and niche needs, and then to cultivate a thriving and relevant aromatic business in a niche area. Each course is broken down into several lessons which make it easy to follow along, and enjoy the journey of learning the material. Each lesson within a course has an audio and/or visual webinar recording that you can start, stop or pause as needed. Once you have experienced this educational journey and put that into action for at least one year with hands-on, applicable experience, that sets you up to confidently and effectively teach your skills, experience and education to others to who want to receive an aromatherapy certification. Our teacher certification is extended to our Level 3 graduates, as they have completed our comprehensive training courses and have become accustomed to our school guidelines, caliber and teaching style. They have committed to elevating their level of education, immersed themselves in scientific research and referencing and developed advanced blending techniques that implement their own style and personality. We like to train teachers who will become a part of the JennScents Aromaversity® team as an instructor, advocate and representative of our core values and educational standards in an effective and structured manner yet providing connection, community, compassion, empowerment and fun. The goal of completing your Level 1, 2 and 3 aromatic studies with the JennScents® Aromaversity® would be to help you increase your value, personally and professionally, by learning, enhancing, and enriching your talents, blending, scentillect™ and scenterpretation™ skills. Our certification program will prepare you as a student with balance, confidence, courage, problem solving and investigative skills, boundary setting guidance, resources, transformational wisdom, and bring awareness to recognize your gifts and talents. You will gain the support needed to develop who you are and help you find your place in the aromatherapy world to set you up with career abilities, whichever path you choose. JennScents is an approved Level 1, 2 & 3 school educator through the National Association of Holistic Aromatherapy (NAHA), the National Certification Board for therapeutic Massage & Bodywork and CE Broker. We offer continuing education credits (CE’s) for Licensed Massage Therapists with NCBTMB and CE Broker. We are also able to offer continuing education credits (CE’s) for Registered Dietitians and Certified Nursing Assistants (CNA’s) via CE Broker in the State of Florida. Level 1 Holistic Aromatherapy Certification includes 2 courses – Introduction to Holistic Aromatherapy and Anatomy & Physiology I. These two courses will provide you with the structure and foundation in understanding what true, authentic aromatherapy practices are, why they work, how and when they work in addition to developing your practical application skills of assessing, formulating and blending. If you are a medical professional, licensed massage therapist, or have recently completed an Anatomy & Physiology course, you may opt out of and receive credit for our Anatomy & Physiology I course. Level 1 requires a minimum of five case studies with at least three-month follow-up, lesson quizzes, book report and final exam. In addition to the two Level 1 courses, Level 2 offers 5 additional courses to provide you with a well-rounded and comprehensive background in various facets of aromatherapy. Our courses in Level 2 were designed to take you on a journey of adding layers too Level 1 knowledge, honing in deeper on skill and development in niche areas of natural health. Course 3 is Advanced Holistic Aromatherapy which expands on the concepts, principles and blending for more advanced situations. Course 4 is Anatomy & Physiology II, which may be opted out and given credit if you are a medical professional, licensed massage therapist, or have recently completed an Anatomy & Physiology course. Course 5 is Holistic Aromatherapy for Personal Care which focuses on five main categories of support – women, men, children, animals and natural cleaning and environmental support. Course 6 is Advanced Holistic Aromatherapy Blending Techniques, which shares my blending trade secrets, techniques, assessments, formulation and more. It is a very complex and advanced class in blending, like no other. Course 7 is Business Development I & Case Study Review. In this course we also discuss personal development and consulting skills. Level 2 certification requires a minimum of 25 case studies with at least three-month follow-up, lesson assignments and quizzes, research paper and final exam. In addition to Level 1 and 2 certification, Level 3 provides 4 additional, clinically advanced courses to heighten your consulting, assessment and blending skills, strengthen your confidence and instill a stellar work ethic, practical applications and business development. Level 3 graduates will be the aromatherapist to carry ancient principles merged with current practices, into the future, allowing for greater advancements to blossom in our industry. Course 8 is Holistic Aromatherapy for the Integumentary System discussing various blends, formulas and solutions to a plethora of skin related concerns. Course 9 is Professional Aromatherapy for Mind & Body Health, including deep, emotional level healing. Course 10 is Business Development II & Professional Client Assessment, and Course 11 is Advanced Pathophysiology & Herbal Integration. Level 2 certification requires a minimum of 25 case studies with at least three-month follow-up, lesson assignments and quizzes, research paper and final exam. I am the founder and owner of JennScents, Inc. and the JennScents Aromaversity® (formerly known as the JennScents Institute). In addition to being a NAHA Director, Vice President, educator, guest speaker, author and formulator, I bring a wealth of personal life experiences (successes as well as dramas and traumas) combined with professional and clinical skills to creating, developing and sharing authentic, practical and life-enhancing information in the realm of natural health, personal growth and professional development. After overcoming my fear of public speaking, finding my voice and realizing my true talents in aromatherapy and herbology, I decided to create an aromatic community that was kind and honest. A place people where people could feel accepted for being themselves without judgement. A place where they could focus on the true art and science of understanding and implementing aromatherapy practices. A place where they were empowered, inspired and encouraged to become an aromatic visionary, transform and invigorate aromatherapy for future development and exploration. To date, Jennifer has taught thousands of people across the world about the benefits, uses and practices of aromatherapy and herbal therapies. I love to share my knowledge, experience and passion for holistic and integrative aromatherapy. I invite you to visit our online Aromaversity® and consider us in your pursuit of aromatic education. I have created an inviting, easy to navigate and fun online school environment to help you learn all of the ins and outs of aromatherapy. We have a multimodal structure with audio and visual lessons. Throughout your studies, you’ll have access to our student resource centered that includes special e-books, recipes, tips, niche webinars, contact with our school instructors and more. We want to empower you to connect with your passion to develop your talents, skills, scentillect™ and scenterpretation™ abilities to create your own garden of success. We will guide you through different niche facets of personal growth and business development, helping you become a successful Aromapreneur™, while still having a fulfilling personal life. I do this because I love it. My purpose is to share what I’ve learned in my aromatic journey to empower others personally and professionally. My passion is to help people find effective solutions using aromatherapy, and to nourish our aromatic community to build and strengthen camaraderie and kindness. When you join the JennScents Aromaversity®, you can expect extensive education in the realm of essential oils and botanicals, that will allow you to formulate and create effective remedies with competence and confidence. You will have the opportunity to connect with our instructors and practice your skills in real-life situations to help you grow and development your talents. Whether you want to learn for personal and family enrichment, or to develop your own business one day, we are here to provide you with tools to make your journey fun, driven and fulfilling. Thank you for giving us the opportunity to share our knowledge with you. When you register at www.jennscents.com, you will have immediate access to some free aromatherapy training materials. You can also view our courses in more detail and get started on your studies right away. See you in class.